Are liberals liberal when they’re being liberal? Are liberals really liberal? Are the tolerant so tolerant that they are intolerant of the intolerant? What does liberal even mean? It’s become a catch-all term for everyone on the left side of the political culture war. It covers everyone from John Loch to Hillary Clinton. Even a socialist like Jeremy Corbyn is simultaneously criticised for being far left and only appealing to metropolitan liberals. We’re all obsessed with liberals, but what even is liberalism? Tim Farron might know, he led the Liberal Democrats, and he thinks that liberals aren’t very liberal anymore. His evidence is that liberals have “discarded” Christianity and “kick away the foundations of liberalism,” but have liberals really become so illiberal? It is true that the Liberal Democrats didn’t do as well in the 2017 election has you might have expected. A significant proportion of the 48% remain vote went to Labour, whose stance on Brexit (although vague) is that it should proceed. Why didn’t these voters all go to the Lib Dems as the most pro-EU party? Is it because these liberal Remainers couldn’t stomach voting for a party led by an evangelical Christian? Did pro-leave Corbyn appeal more liberal remain voters? I don’t want to be drawn into the debate on what Tim Farron thinks about gay marriage. What does appear to be the case is that, in choosing an evangelical Christian as their leader, the Lib Dems sent a signal that metropolitan liberal voters didn’t like and this partly the reason for Lib Dems poor performance. Politics is about tribal identity and evangelical Christianity doesn’t seem to be compatible with the metropolitan liberal identity. On some level I feel sorry for Tim Farron as none of this is his fault and is partly based on a stereotype that evangelicals are illiberal. This sounds like a criticism of modernity. Does Farron think that we were better off in the past where also everyone was Christian by default? If you judge modern society via what you see on social media you’d think everyone’s life is a well-lit romp through artisan coffee shops, eating avocado on toast, before cuddling kittens and trying on new hats. When actually really life is a washed-out grey, spirit crushing, grind. What Farron describes above is how most metropolitan liberals live. We’re social media obsessed, materialistic and happy with it. Even I couldn't resist getting a Google home. It sounds like Farron wants things to change. People to the left of liberals want it to change too, and they have their symbol of change in Jeremy Corbyn. Conservatives to the right of liberals also want to this to change. But liberals are comfortable with 21st century modernity even if Farron isn’t. Being a liberal is more than being a “metropolitan liberal”. The Encyclopedia Britannica defines liberalism as: “political doctrine that takes protecting and enhancing the freedom of the individual to be the central problem of politics”. By this definition have liberals stopped being liberal? Have any of Farron’s rights been taken away? Is anyone stopping him from being a Christian or practicing his religion in anyway? 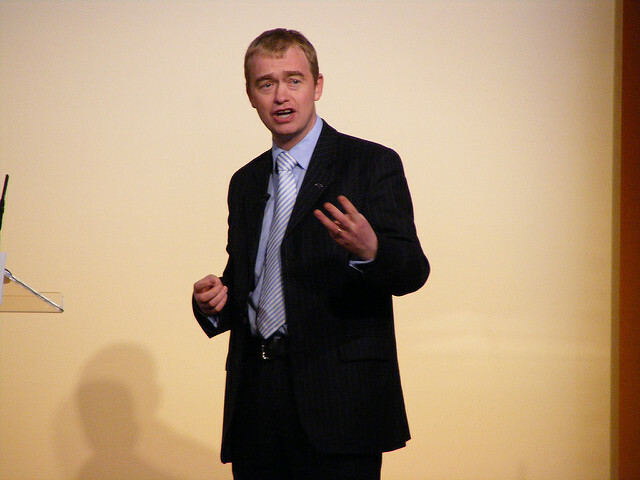 Farron’s faith didn’t stop him becoming the leader of a major political party. He claims to not be part of the establishment, saying: “whereas I am a liberal, but do not feel part of the elite,” but he was part of the elite as a major party leader and his faith didn’t prevent this. Is Farron complaining about the fact that Christiny isn’t as popular as it once was? The number of people who are Christian has been decreasing for a while, the proportion of people who describe themselves as Anglican has halved since 1983. I would like to remind Farron that there is no right to be popular. The fact that your religion and your party is not popular is not an infringement of your rights. Being a Christian or being a Lib Dem is a minority opinion, and the right to minority opinions should be protected, but you have no right to demand that your opinion be that of the majority. Even if you think everyone would better off. I don’t think Farron’s rights are being oppressed. I don’t think being a Christian or being a Lib Dem makes you a victimised minority, despite the fact that people feel more comfortable making fun of Christianity now than they did in the past. The odd sausage roll joke isn’t the same as having your rights taken away. It’s just not being held in the same reverence that you once were. If any faith has a fair claim that it is stigmatised or treated with hostility, then it is Islam. Even from people who consider themselves to be liberals, I have heard blanket statements of suspicion about Muslim communities or objections to the number of Muslim refugees allowed into Europe. Five minutes on social media will give you a window into a society that is angry at and frightened of Islam. A 2016 ComRes report found that 43% of people surveyed agreed with the statement “Islam is a negative force in the UK”. Liberals don’t talk about Christianity the way they talk about Muslims. Farron is fostering a sense of grievance amongst Christians that has little basis in fact. Christians are not treated with hostility and suspicion. The Prime Minister is a Christian. Christians are not oppressed in this country. Not by liberals or anyone else. Farron also shows no concern about prejudice against other people’s faiths, such as Islamophobia or rising anti-semitism. If you are worried about how liberal or tolerant a society we are, worry about how we treat people who look different to the majority. Not how we treat people who look like the majority of people, get to lead major political parties and get to publish articles in national newspapers. Tim Farron image taken by David Spender and used under creative commons.